I have never really understood why Blue album is so greatly appreciated. The songs aren’t nearly as good as the ones on Pinkerton or Green album. I might be a weird Weezer fan, because I like all of their albums, even the generally loathed Raditude. Well, not all of Raditude, but most of it. Make Believe is also one of my favorite Weezer albums. Death to False Metal, though, doesn’t really have anything to offer. Strangely enough, I like most albums more than the great Blue Album that everyone keeps comparing the new albums to. I might not be your run-of-the-mill Weezerian. 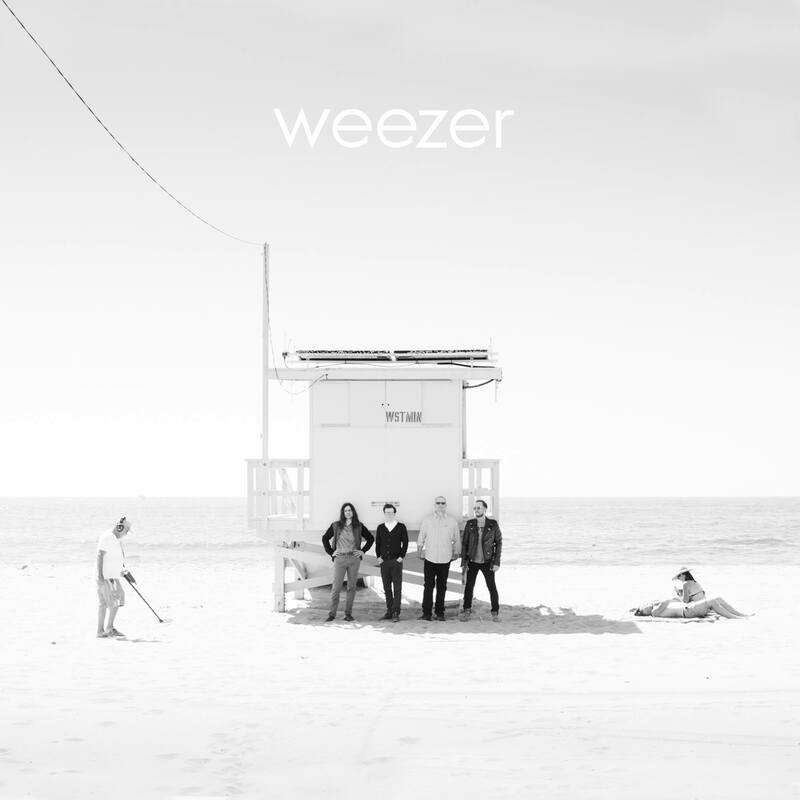 However, the consensus among Weezer fans seems to be that their latest albums – Hurley, Everything Will Be Alright In The End and White Album have been very enjoyable. White Album seems to be the perfect combination of the rough sounds of their early days and the more experienced and poppy Weezer. The compositions are very catchy and energetic. Piano is played a lot on the album, which I find very pleasing. The lead single “Thank God for Girls”, though a fine piece of Weezery, is not the greatest track on the album. It’s a fun song, and an essential part of the ethos of the album, but I prefer “Summer Elaine and Drunk Dori”, “Wind In Our Sail” or “Jacked Up” over the singles. I do like all the songs on the album, though. White Album has some stylistic echoes from Pinkerton and Green Album, and the ever-present vocal harmonies in choruses rock my world. “Do You Wanna Get High” features some cheapish lead sounds that remind me of Pinkerton – “Getchoo” for example. It’s probably not a coincidence. I listened to an interview with Rivers Cuomo, where he talked about his way of composing Summer Elaine and Drunk Dori. He revealed that he’s a got a database of lyrical lines, sorted by pronunciation accent points (whether the emphasis of the line is on the first or second beat, etc.). That’s a fascinating way of writing – something that I’m aware of while writing, but I’m not doing it so systematically. Seems to work wonders for Rivers, so I might give it a try at some point. Also, stealing a chord progression is a viable way to start a song. Nobody will ever find out where the chords are from anyway. There are tens of thousands of songs with the same chord progression anyway, so there’s no point in trying to be “original”.